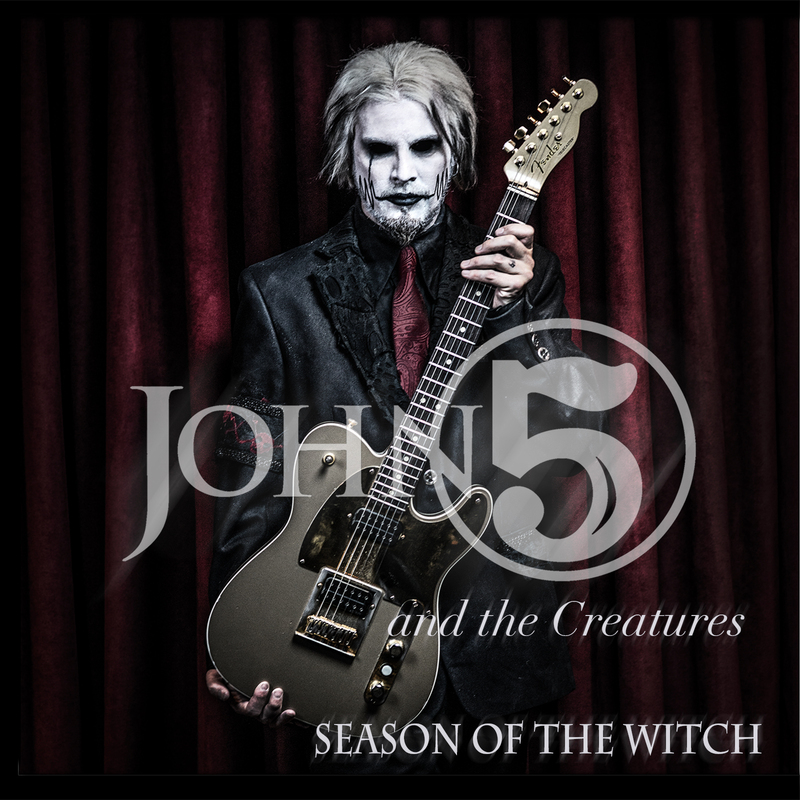 Early this past March, guitarist John 5 released his new solo recording Season of the Witch. The famed guitarist’s now ninth overall solo instrumental recording, Season of the Witch proves from start to finish that it belongs on any critic’s list of the year’s top new rock albums. That is due in part to the album’s songs. This will be discussed shortly. The arrangements at the center of each song are just as important to note as the songs themselves in examining the album’s overall presentation. The record’s sequencing rounds out its most important elements. Each element is important in its own right to the album’s overall presentation. All things considered, Season of the Witch proves to be a record that rock fans will enjoy in every season. John 5’s latest solo instrumental record Season of the Witch is a record that rock fans will enjoy in every season. That is due in part to the songs that are featured in this recording. While the guitarist, whose real name is John William Lowery, is known largely for his work with the likes of Marilyn Manson, Rob Zombie and David Lee Roth, this record displays his versatility as a musician once again. Lowery reaches liberally into the rock realm throughout the course of the record’s 13-song, 39-minute run time. But it is not the only realm into which he reaches as is proven in the likes of ‘Behind The Nut Love,’ ‘Hell Haw’ and ‘Ode To Jasper.’ The first of the group is a country-western style song while the second is a fun, up-tempo bluegrass/rockabilly style work that even incorporates a touch of jazz at the same time. ‘Ode to Jasper’ is a beautifully tragic work that will tug at any listener’s heart strings even while it clocks in at not even two minutes. Getting back on the matter of the album’s rich rock reachings, listeners will be impressed at the amount of ground Lowery covers in that realm. From the industrial leanings of the album’s title track/closer to the almost Joe Satriani/Living Colour-esque sound of ‘Now Fear This’ to the prog-rock sound of ‘Here’s To The Crazy Ones’ and beyond, this record displays great diverse talent from Lowery and his fellow musicians. That diversity forms a solid foundation for this new offering from the famed guitarist. The arrangements at the center of the songs build onto that foundation, strengthening it even more. The arrangements at the center of the record’s featured songs are so important to note in examining the album’s presentation because they exhibit just as much diversity as the songs themselves. Yes, there is a lot of high-velocity guitar playing throughout the record. However, Lowery also proves that he can play just as expertly in more contemplative moments as he can in wilder moments. That is proven throughout the record as he goes from full-on riffs to other elements and back time and again. ‘Guitars, T**s, and Monsters’ is one of the songs that supports this statement. This song mixes Jimi Hendrix-esque riffs with a touch of Eddie Van Halen fluidly for a song that clearly exhibits his (and his band mates’) ability to handle such quick shifts in style. The whole thing winds down with a rather reserved arrangement that gently places listeners, albeit breathless, on another musical shore. ‘Hell Haw’ is another example of the diversity presented in the songs’s arrangements. This song takes the classic jazz tune ‘Who Could Ask For Anything More’ and crosses it with a touch of rockabilly and bluegrass, clearly showing Lowery’s ability to handle all three genres in one whole. The same can be said of his fellow musicians. It is, in fact, one of the moments that allows them to really put their talents on display. Very much the same can be said of the simplistic arrangement in ‘Ode To Jasper.’ This song’s arrangement only calls for a small handful of notes to be played throughout. Yet even with so few notes being played by any of the band members, the gentility in those notes and their gentle flowing nature creates a massive emotional impact. Considering this it is one more arrangement that proves the arrangements in the album’s featured songs are collectively just as diverse as the songs themselves. Keeping that in mind, that diversity—which is shown just as much through the album’s other arrangements not noted here—proves to be just as important to this record’s presentation as its songs. It is not the last of the record’s most important elements either. The record’s sequencing rounds out its most important elements. The diversity in SOTW’s songs and their arrangements are both key pieces of the record’s whole. Each element ensures in its own way listeners’ engagement. They are not the record’s only important elements. Its sequencing rounds out its most important elements. The record opens and closes with a nod to Lowery’s industrial roots. In between, Lowery and company take listeners on quite the musical ride. The transition from ‘Black Grass Plague’ and ‘Guitars, T***, and Monsters’ eventually makes way for the more controlled riffs of ‘Now Fear This’ before the band really pulls back in the country-western ‘Behind The Nut Love.’ From there, the energy picks back up shortly in ‘Making Monsters’ and ‘Here’s To The Crazy Ones’ before pulling back again in ‘The Macabre,’ which despite its name, sounds anything but macabre. If anything the harmonics incorporated into the mid-tempo ballad style song makes for an interesting emotional impact. The record’s energy rises again from there before reaching that already noted deeply emotional ballad that is ‘Ode To Jasper.’ The final powerful punch of the record’s title song makes for the ideal ending to the album. When it is considered along with the rest of the record’s crests and troughs, the whole picture is one is even more certain to keep listeners engaged. When this consideration is joined with the notes on the record’s songs and their arrangements, it becomes clear that much time and thought was put into crafting this album. That time and thought resulted in a record that deserves a spot on any critic’s list of the year’s top new rock records. Early last December, Red Reign released its latest studio recording, a five-song self-titled EP. The self-released record is a work that will appeal to any fan of the songs that made up rock’s mainstream during the late 1980s and early 1990s. This applies both in regards to the record’s musical arrangements and its lyrical content. The record’s opener ‘Not That Way’ solidly serves to support that statement. ‘Chains,’ the record’s third entry, is another of its songs which supports that statement. It will be discussed later. The same can be said of the record’s title track. Each song is important in its own right in showing why fans of rock from that bridge between the 1980s and 90s will enjoy this record. The other two songs not noted here are just as important in their own right, too. 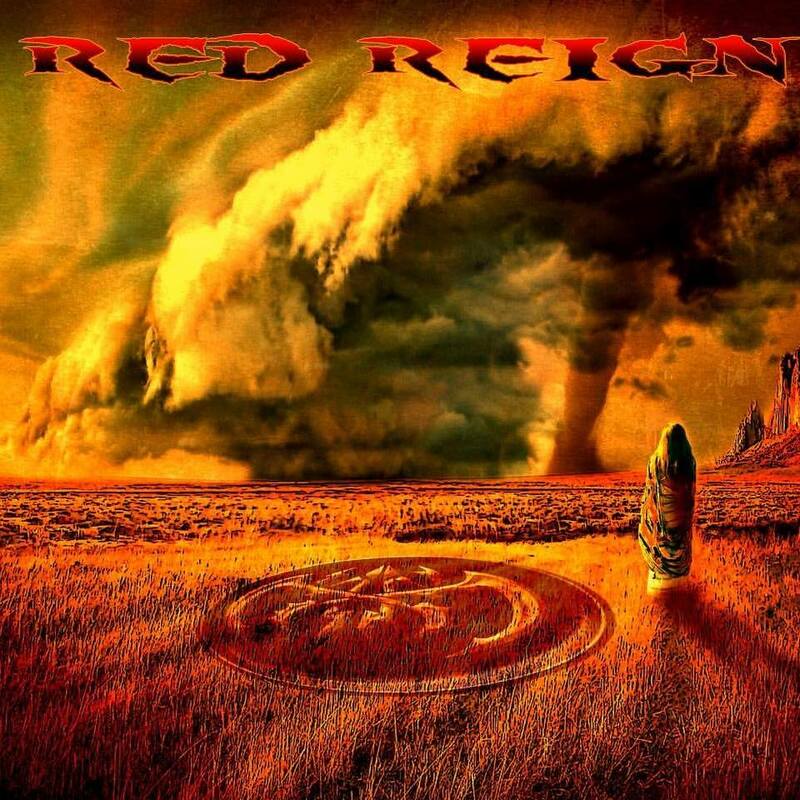 All things considered, Red Reign proves to be a record that any classic rock fan will appreciate. That is the case even with Red Reign being a more modern act. Red Reign’s new self-titled, five-song EP is a work that any “classic rock” fan will appreciate. That is exhibited in no small part through the record’s opener ‘Not That Way.’ The song’s guitar-driven musical arrangement takes listeners back to rock’s early 90s era, conjuring thoughts of Queensryche, Joe Satriani, Van Halen and other similar acts. Drummer Sam Bendheim’s time keeping on the song provides the song even more depth as he keeps the song moving solidly forward. Front man and guitarist Carlton McMichael even conjures thoughts of former Queensryche front man Geoff Tate through his vocal delivery. The song’s musical arrangement is clearly an important part of its whole, but is just one key part of that presentation. Its lyrical content is just as important to discuss as its musical arrangement. The lyrical content comes across as an anti-break-up song of sorts. That is especially inferred as McMichael sings in the song’s chorus, “How things have changed/But it’s not the same/No it’s not that way/You had your chance/And you let it slip away.” If there was any doubt left about the song’s upbeat message, the song’s second verse alleviates that doubt almost instantly as McMichael sings, “All these years have passed/And I’ve found somebody new/I never ever, ever think of you/Then you come around/Cause you thought you could/But I broke those chains so long ago/And it feels so good.” The song’s subject goes on to sing in the verse’s back end about being heartbroken long ago and having moved on. It is a rare message sent in songs centered on relationship break-ups. Keeping that in mind, that positive, upbeat message does plenty to make ‘Not That Way’ stand out. When it is coupled with the song’s equally upbeat musical arrangement, the two elements show clearly in themselves why Red Reign will appeal to “classic rock” fans. It is just one of the songs that serves to support that statement. ‘Chains’ serves as just as much of an example of why classic rock fans will appreciate the record. ‘Not That Way’ is a clear example of what makes Red Reign’s new self-titled EP a work that any classic rock fan will appreciate. That is due in no small part to the song’s upbeat and uplifting lyrics and its equally positive musical arrangement. It is of course just one of the songs that serves to show why this record will appeal to the already noted audience. ‘Chains’ is another example of why that audience will enjoy this new offering from the Richmond, Virginia-based rock act. Its musical arrangement sits at the base of its notoriety. As with the record’s opener, there is an obvious influence from Queensryche in this song’s arrangement. That is obvious right from the song’s outset through Larry Moore’s bass line and McMichael’s bombastic guitar line. The combination of those elements and Bendheim’s work behind the drum kit conjures thoughts of something from Queensryche circa 1986 (Rage For Order’s release year). While the song’s musical arrangement shows a direct influence from Queensryche, its lyrical content is different yet still just as thought-provoking as the lyrical themes presented in RFO. Whereas Red Reign’s opener was an upbeat anti-breakup song, this piece is much deeper with what seems like introspective commentary centered on someone’s efforts to move forward in life and forget the past. That is inferred as McMichael sings in the song’s lead verse, “Black and pouring rain/I’m running through these streets where no one knows my name/Free/I won’t look back/On all these things that kept me fear/For all these years/I’m gonna break these chains/I’ll break these chains/I’ll breathe again/I’ll breathe again.” The song’s second verse continues in similar fashion as the song’s subject sings about overcoming certain difficult situations. Considering this and the power in the song’s musical arrangement, one can’t help but imagine the song is meant to convey a message of overcoming and moving on in life. That is of course only this critic’s own interpretation of the song and should not necessarily be taken as gospel. It would be interesting to learn the exact message delivered in the song. One can only hope the message interpreted here is somewhere in the proverbial ballpark. Regardless, the power in the song’s musical arrangement and its lyrical content combines to show in whole why it, too plays such an important part in Red Reign’s enjoyment by its target audiences. It still is not the last song that serves to show why classic rock fans will appreciate this modern rock act’s new EP. The record’s title track is one more example of what makes this record an effort that will appeal to fans of rock’s biggest age. The lyrical content presented in ‘Red Reign’ will leave listeners thinking (and talking) because of McMichael’s metaphorical language used throughout the song. He sings in the song’s lead verse, “Like a flash of lightning/I burn throughout the sky/Out of the way, I’m running high/I feel the evil coursing through my body and veins/Are you ready to rock this place/Lower the bridge I’m coming through/Red reign down on you.” One can’t help but wonder what exactly McMichael is saying here. The song’s second verse is just as intriguing as McMichael sings, “In this house of pain the storm looms large and black/My sanity is off the tracks/You know I’ve got no more home…I’ve come from grace and I can’t go back/Lower the bridge I’m coming through.” McMichael definitely leaves listeners guessing at his message here. It would definitely be interesting to learn that message and the story behind the song considering that uncertainty. The very fact that the song’s lyrical content can generate just as much discussion as its musical content shows why this song is so important to Red Reign’s overall presentation. When this is all set alongside the musical and lyrical content presented in the previously noted songs the picture painted through the songs is one of a record that, again, any classic rock fan will appreciate. That is even though the band is a more modern rock act. It’s official. There’s another new contender for the title of one of the year’s top new rock records. The band’s name: The Dead Daisies. The band’s album: Make Some Noise. While the band’s name makes it sound like some dark, goth-rock act, the truth is that it is anything but. It is a super group of sorts whose album, just as with Foghat’s new album Under The Influence, exhibits everything that is right with rock and roll. It reminds listeners through both its musical arrangements and lyrical content that thankfully, there is still hope for real rock and roll even in the 21st century. The album’s adrenaline-fueled opener ‘Long way To Go’ clearly exhibits that. The same can be said of the album’s titles track and its cover of John Fogerty’s ‘Fortunate Son.’ All three songs show in their own way why this record gives hope for real rock and roll in the 21st century. They are hardly the only songs presented in the album that could be cited in proving this. There are nine other songs that could just as easily be used to prove that statement. All things considered the album in whole is a *ahem* rock solid record that, again, gives full hope for the future of rock in the 21st century. The Dead Daisies’ latest full length studio offering Make Some Noise is a record that will have listeners making noise of their own after hearing it. That is because over the course of its twelve total tracks, it reminds listeners that thankfully there is still hope for the future of real rock in the 21st century. The album’s opener is a clear example of why the album gives such strong hope. That is exhibited both in the song’s musical arrangement and its lyrical content. The song’s musical arrangement is a full-throttle, no-nonsense, guitar-driven rock and roll composition that conjures thoughts of AC/DC, and so many other pure rock and roll acts. The catch is that even with those thoughts in mind, the song manages to maintain its own identity separate from those bands. This makes the song all the more enjoyable. It is just part of what makes the song stand out. The song’s lyrical content is just as important to note here as its musical makeup. The song’s lyrical content is a clearly socially conscious statement that addresses the unrest in the world today. That is clear as front man John Corabi (ex-Motley Crue) sings, “There’s something going down on the streets right now/There’s hate in the air/We’re upside down/Guns and bombs/Blood on the floor/We’re killing ourselves and there ain’t no cure/Maybe tomorrow/Maybe today/No more enemies…Just more suffering.” From here he and his band mates—Doug Aldrich (guitar), Marco Mendoza (bass), Bran Tichy (drums), and Davi Lowy (guitar)—drive home the song’s message in its chorus as they sing, “We’ve got a long way to go/And no time to get there/One step forward two steps back/There ain’t nobody to blame.” The message is just as clear in the song’s second verse as Corabi sings, “Something’s going on/Times are changin’/Movin’ too fast/We’re all going crazy/Black man, white man…in the name of love open your eyes.” The message is clear. People have got to stand up and join together, not stand against one another. We have got to overcome all of the violence and hate that are filling the world. It is a wonderful message. Given it’s hardly the first time that a band has ever presented that message. The thing is that it is a message that the world needs to hear whether from The Dead Daisies or another band. What’s more the fact that Corabi and company presented the message in such a straight-forward, blue-collar fashion makes it all the more important to note. It isn’t presented in some overly philosophical fashion (as has been done by some bands) or even in any militant fashion either (as with certain other acts). Audiences familiar with their music history will understand those references. It just puts the message out there: we have got to stand together against all of this negativity in the world.” The band uses the same blue-collar rock and roll approach in the song’s musical arrangement, which adds even more to the message’s impact. When the two elements are joined together as one, they work to show in whole just what makes the song (and the album in whole) such an impressive new offering from The Dead Daisies. Audiences can see the song’s official video online now here. It is just one of the songs presented in this album that makes the record so impressive. The album’s title track is another clear example of what makes this record such a strong new offering from the band. ‘Long Way To Go’ is in itself an impressive inclusion in The Dead Daisies’ new album. It is an impressive composition in itself. That is evident both in its musical arrangement and its socially conscious lyrical content. The band’s blue-collar approach to both makes the song both a strong start for the band on its new album and a clear example of what makes the album in whole stand out. It is just one of the songs included in the album that makes it stand out. The album’s title track is yet another of the album’s most notable compositions. It stands out because it is, plain and simple, a hard rocking, fist-pumping, arena rock song. It is the polar opposite of the album’s opener. The song’s musical arrangement is much slower in terms of its tempo than that of ‘Long Way To Go.’ And even despite that it still hits hard thanks to the work of Tichy and Aldrich. Tichy forms the song’s musical foundation with his work behind the kit and Aldrich builds on that solid foundation with his simple yet so fun guitar line. Mendoza’s low end expertly compliments their work. All three lines join together to instantly make the song’s musical arrangement infectious and a song that is sure to be a fan favorite at the band’s live shows, even as short as it is (it clocks in at just under three-minutes). The song’s lyrical content shows even more why the song stands out so clearly among the album’s other offerings. That is because of its simplicity. Corabi sings here, “Everybody stand/Get outta your chair/Lemme hear your sound/Put your hands in the air/Everybody on the left/Everybody on the right/Don’t hold back/Get crazy all night/Make some noise/Make it louder/Make some noise/Everybody now.” Corabi goes on in similar fashion throughout the rest of the song, encouraging audiences to turn up the volume and just let loose. No doubt they will, too. That is regardless of whether audiences are listening in their cars, at home, or at the band’s live show. It will leave listeners pumping their firsts in the air (and their horns) all the while with a wide smile on their faces. Between that and the song’s musical arrangement, the song gives listeners plenty to enjoy. When the pair is coupled it shows with full clarity why it is another important addition to the album’s whole and why the album in whole is an impressive new effort from The Dead Daisies. It still is not the album’s only remaining standout composition either. The band’s take on John Fogerty’s famed protest song ‘Fortunate Son’ is just as notable as the album’s title song and its opener. 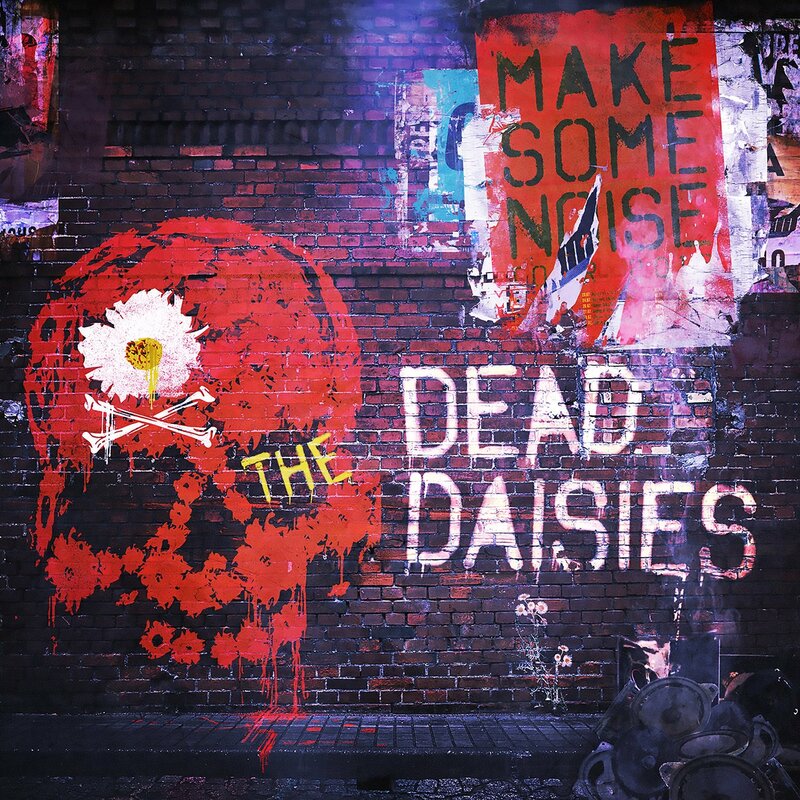 ‘Long Way To Go’ and ‘Make Some Noise’ are both key inclusions in The Dead Daisies’ new album Make Some Noise. That is made clear both in the songs’ musical arrangements and their lyrical content. The songs’ musical arrangements are both pure rock and roll compositions. There’s pretense to either arrangement. Nor does either one aim low. Rather each song presents the band giving its best and its all. The songs’ lyrical content shows just as much thought put into the record. One song presents an important message about unity that, just as with the songs’ musical arrangements, lacks any pretense in doing so. The other is the polar opposite, giving listeners a clear taste of a live Dead Daisies show. Its approach is just as simple as that used in the message in ‘Long Way To Go.’ Both songs show in their own way what makes them stand out among their counterparts. They also serve to show (both by themselves and together) what makes the album in whole such an impressive new effort from the band. They are not the only songs that serve this end. The band’s cover of John Fogerty’s famed protest song ‘Fortunate Son’ stands out just as much as those songs and the rest of the album’s compositions. The band’s take is hardly the first time that a band has tackled the song. What is important to note is that despite that, it is one of the better renditions of said song. That is due in large part to the band’s approach to the song’s musical arrangement. The band maintains the song’s original identity in its take on the song at the same time given the song its own extra touch. The band does that through the use of its familiar no-nonsense rock and roll approach. In essence the band takes Fogerty’s original tune and steps it up even more here with its own take on the song. The end result is a song that is right up there with Dave Grohl’s take on the song (which was included in Fogerty’s 2013 album Wrote A Song For Everyone and Dropkick Murphy’s take on the song included in its 2005 compilation Singles Collection: Volume 2. Keeping this in mind, it is just one more song that exemplifies what makes Make Some Noise another impressive effort from The Dead Daisies. It is, again, not the only remaining song included in this record that could be used to show what makes the album so enjoyable. ‘Song and a Prayer’ will take listeners back to the late 80s ad early 90s, when guitar rock was still king. ‘Last Time I Saw The Sun’ is a work that Buckcherry fans will appreciate. And ‘All The Same’ conjures thoughts of Sammy Hagar (both as a solo artist and with Van Halen). They are just a few more songs include in this record that make it so enjoyable. Whether for those songs, the songs more directly addressed here, or any of the album’s other compositions, listeners will agree that the album in whole is a *ahem* rock solid record and yet another clear candidate for a spot on any critic’s list of the year’s top new rock records. 2013 has seen quite the surplus of live concert recordings. Bands the likes of Jane’s Addiction, The Rolling Stones, Black Sabbath and so many others have been released to the masses. Each of those live recordings has proven to be exceptional in its own way. These recordings will be seen by countless audiences thanks to being released via some of the music industry’s biggest labels. It doesn’t mean that they’re the only live recordings to hit the market this year. One independently recorded and released live concert event that deserves just as much coverage as those aforementioned recordings is the Concert for Ronnie Montrose. Recorded April 27th, 2012 at the Regency Ballroom in San Francisco, California, this live concert event will impress anyone that is a fan of true, pure, guitar-driven rock and roll. This applies to even those that might not be so familiar with the work of Ronnie Montrose. There is much to like about this new live recording. The most obvious of factors is the concert’s audio and video mix. For a show that was independently recorded and released, it looks and sounds surprisingly good. The show’s set list and guest lineup collectively make up another of the reasons to check out this concert. And while it is something relatively subtle, those charged with finalizing the concert included names and titles for each artist on each song. For those that might be unfamiliar with the artists, this inclusion will help to introduce the artists to said new audiences when they look up each name. In turn, it could open audiences’ eyes and ears to a whole new world of music. Together with the aforementioned factors, the Concert For Ronnie Montrose proves to be just as enjoyable as any live recording released by the industry’s major labels. The Concert for Ronnie Montrose is an independently recorded and released live concert event. The automatic thought that might be raised in some audiences’ minds upon reading this is that it probably doesn’t match up with the live recordings released by the record industry’s major labels. That belief could not be any more wrong. The reality of this concert recording is that it looks and sounds just as good as any of the countless other live recordings released on said labels already in 2013. The camera crews charged with capturing the concert expertly carried out their duties. Home viewers get the best seat in the house. They are taken right on stage with the musicians and even above the crowd to see the full extent of the audience in attendance. Seeing how packed the house was on the night of April 27th, 2012 just goes to show that while Ronnie Montrose might never have been one of the biggest names in the industry, he was and still is one of the most respected individuals to pick up a guitar. It is truly a telling statement, and one that any Ronnie Montrose fan will appreciate when they watch this concert for themselves. The Concert for Ronnie Montrose was captured just as expertly on video as any live recording released via the industry’s major labels. It is crystal clear. And the camera work itself is just as impressive. Having examined the recording’s high-quality video, the next logical step is to examine its audio mix. Having been recorded in the semi-intimate setting of San Francisco’s Regency Ballroom, it goes without saying that it was extremely important that the audio be perfect. Those that are more familiar with the science of acoustics will appreciate the painstaking efforts taken to ensure that the concert’s sound was on par with any major live recording. Not one of the guitarists overpowered the other at any point throughout the evening. And none of the musicians overpowered their fellow guest vocalists, either. That set alongside the equally top notch camera work and video editing serve as the foundation for a concert recording that proves in the long run to be just as good as any of the year’s major concert recordings. 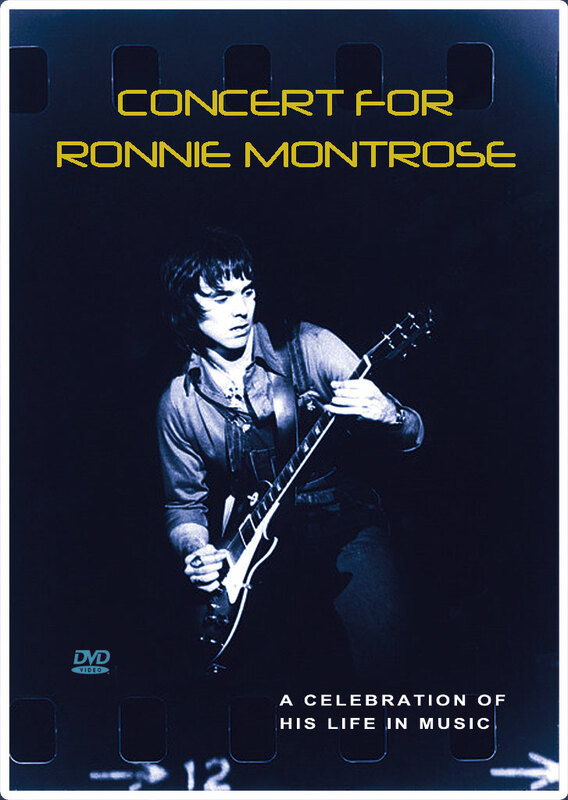 The audio and video mixes in the Concert for Ronnie Montrose collectively make for a solid foundation for this recording. Having examined both, the next logical step in examining the presentation is to look at the collective set list and the guest lineup. The set list that comprises this tribute concert spans the late guitarist’s rich career before his passing. From his days with the Edgar Winter Group to his work with the band that bore his name to his solo career, this concert is front loaded with more than its share of great music. Even audiences that might perhaps be less familiar with Montrose’s work will likely recognize the Edgar Winter Group’s hit songs ‘Frankenstein’ and ‘Free Ride’ and the cover of The Rolling Stones’ ‘Connection.’ What’s more, those that might be fans of Dream Theater will hear quite the similarity between the concert’s opener, ‘Overture’ and certain work by Dream Theater guitarist John Petrucci on the first of Liquid Tension Experiment’s two records. Petrucci wasn’t one of the artists on hand at the Concert for Ronnie Montrose. However, some equally big names were in attendance. And their presence is sure to impress audiences just as much as the show’s set list. The lineup of artists on hand to pay tribute to Ronnie Montrose is just as eye-opening as the show’s set list. Classic rock fans will recognize former Journey band mates Steve Smith and Neal Schon and Tesla front man Jeff Keith. Also on hand were two equally big names in the form of Montrose’s former band mate and friend Sammy Hagar (Montrose, Van Halen, Chickenfoot) and world renowned guitarist Joe Satriani (Chickenfoot). Hagar and Montrose’s fellow former band mates were on hand for the concert, too. Anyone that was a fan of the band in its heyday will appreciate seeing its members back together if only for a one off show. If the set list that makes up the show isn’t enough for audiences, then this megastar lineup of artists is certain to convince audiences to check out this recording. So much has already been noted as to what makes the Concert for Ronnie Montrose such a joy of a live recording, even having been recorded and released independently. There is still one factor in the recording to examine. It is a subtle, yet important factor to examine. It is the inclusion of what is called “supers” (or superimposed images) highlighting the names and titles of each musician to take the stage throughout the concert. Their inclusion is important for those that might happen to be new to each musician. The names and titles are placed right in front of each musician. This allows audiences to directly link a name with a face. Audiences that are less familiar with said artists can in turn link the names and faces when looking up information on each one online or otherwise. The latent effect of all of this is the potential introduction of a whole new world of music to new audiences. For that alone, those charged with making sure the supers matched with each artist deserve their own round of applause. And together with the camera crews, sound editors, and performers themselves, it all comes together to make the Concert for Ronnie Montrose a concert that any purist rock and roll fan will appreciate no less with each watch. It is available now and can be ordered online at http://www.ronniemontrose.com/merchandise/index.php?main_page=product_info&cPath=65&products_id=238. More information on this and all things Ronnie Montrose is available via the official Ronnie Montrose website, http://www.ronniemontrose.com. To keep up with the latest sports and entertainment reviews and news, go online to http://www.facebook.com/philspicks and “Like” it. Fans can always keep up with the latest sports and entertainment reviews and news in the Phil’s Picks blog at https://philspicks.wordpress.com. Blues guitarist Quinn Sullivan is not even eighteen years old. But even at roughly the tender age of fourteen, this young musician has achieved things of which other musicians his age can only dream. The young man was personally tapped by blues legend Buddy Guy as one of the next big names in the world of blues. And if his new record, Getting There is any indication, the title bestowed on him by Guy might well be deserved. That is as long as he sticks primarily to playing more blues-related material rather than some of the more poppy material included in this record. That he is dealing puberty can be forgiven in terms of his vocals. Once he gets through this stage of his life, his vocals may in fact become just as strong as his guitar playing. And if that happens, fans of the blues may hear even more from him. Sullivan hints at his abilities in the first two songs on Getting There. But it’s in the album’s title track that he really shines both musically and vocally. The talent that he exhibits here is kind of musicianship not generally expected of someone his age. So to hear the sounds produced by this young man is impressive to say the least. Just as impressive is Sullivan’s vocal style and the song’s lyrics. Instead of being sort of a Johnny Cash tribute, he sings instead that no, he hasn’t been everywhere. But he is getting there. He sings about having gone to this place and that, but knowing he hadn’t been everywhere; though he’s working on it. He sings, “No I ain’t been everywhere/But I’m getting there/No, not yet/But I’m working on it.” The subtle way that last part is added in gives the song just a little more attitude. That extra little attitude will have any listener laughing to themselves because while it is noted in a cocky sense, it isn’t an overly cocky tone. It’s almost as if he’s saying, I know I haven’t gotten there, but I know I will be. It shows that he’s only a teenager, but he’s already getting the confidence of a seasoned veteran musician. Another moment on this record in which Sullivan really shines comes in ‘Mr. Gloom.’ This is another solid twelve-bar blues style piece that allowed him to exhibit both his talent on the guitar and with his vocals. There are some runs that he hits on his guitar that could almost rival the talents of Stevie Ray Vaughan or perhaps Kenny Wayne Shepherd. Vocally, he is obviously going through puberty. But there’s a certain quality about his vocals that conjures thoughts of Johnny Lang. One can only wonder what his vocals will sound like once he passes puberty and gets older. If this song is any indication, he will definitely have some very strong vocals. ‘Mr. Gloom’ and ‘Getting There’ are just a couple examples of Sullivan’s abilities on this new record. There are many more from which listeners will get to choose. One of those others is ‘Cyclone.’ What makes this song so interesting is yet again he exhibits quite the ability on his instrument in the song’s “A” section. The somewhat chromatic runs by Sullivan, and the solid timekeeping of his drummer conjure thoughts of Van Halen’s ‘Hot For Teacher’ in the song’s “A” section. Give it’s not as hard as the aforementioned song. But there is at least some similarity, interestingly enough. So not only does Sullivan get to shine on this album, so do his band mates. And this is just one example of that. There are other tracks that exhibit his band mates’ talents. All combined, they make Getting There a record that given the right support the record that breaks out this young musician and in fact proves him to be the face of the next generation of the blues. Getting There will be available June 18th. To get the latest news on his new album, live dates, news and more, audiences can “Like” him on Facebook at http://www.facebook.com/QuinnSullivanMusic. 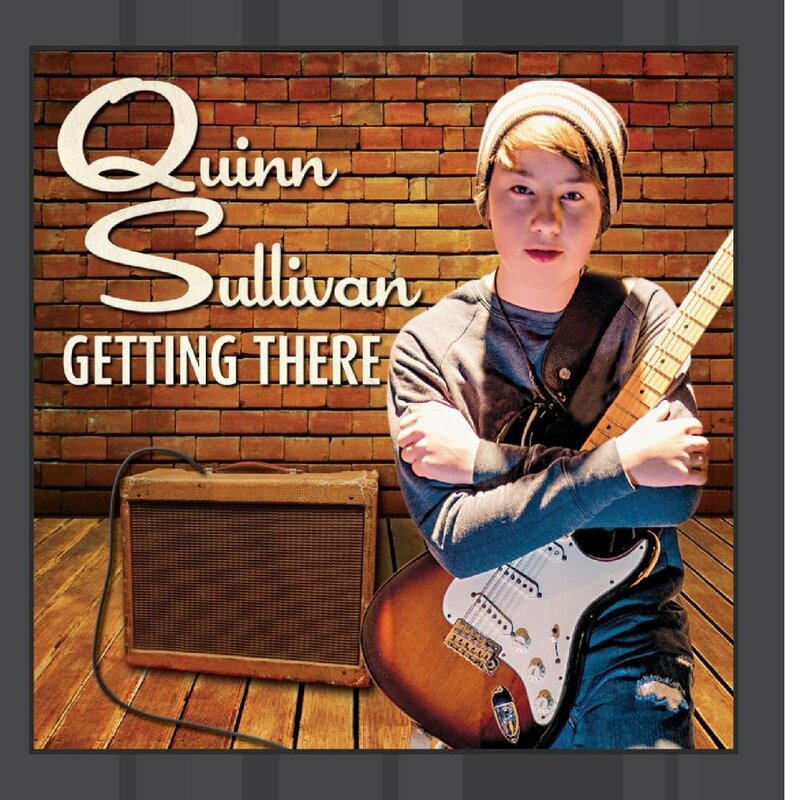 They can also follow the latest news and more from Quinn on his official website, http://www.quinnsullivanmusic.com. 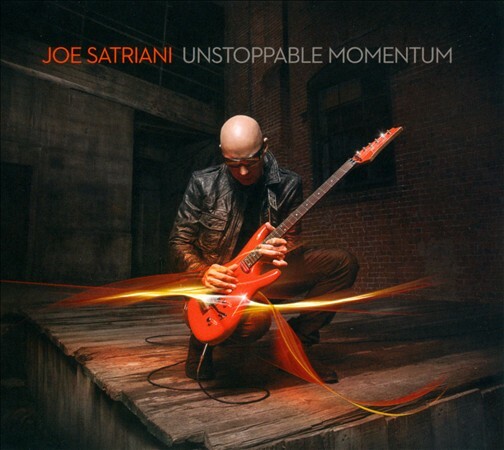 Joe Satriani’s latest release, Unstoppable Momentum is the famed guitarist’s best release since his 2006 album, Super Colossal. This new record is the album that fans have waited for since the release of Super Colossal. It is just as bombastic as Super Colossal and more at some points. It’s also just as gentle as SC, too at different points. Perhaps a big reason for the success of this record is the Satch opted for a different backing group than he typically uses on his records. Many of Satriani’s past records were recorded with Jeff Campitelli on drums and Allen Whitman on bass. This time out, Satch opted instead to have drummer Vinnie Colaiuta man the kit and Chris Chaney add the low end on bass. Another change to the lineup that could have created such a difference on this record from his other works was the inclusion of Mike Frasier behind the glass once again. The two are quite familiar with one another, having worked together on no less than six of Satch’s previous records, including his most recent album, Black Swans and Wormhole Wizards (2010) and Super Colossal. He also helped with the creation of both of Chickenfoot’s current releases on which Joe played guitar. That familiarity and friendship between the pair—and the inclusion of new musicians–obviously played a role in the record’s sound as it has proven to be not just his best record since Super Colossal, but one of his finest records to date. Right from the opening number of Unstoppable Momentum, long-time fans of Satriani’s work know they are in for quite a ride. The album opens fittingly with its title track. Simply listening to the song, one can’t help but hear that perhaps Satriani is making a statement early on that even fourteen albums in, he still has a lot left to offer audiences. He still has that “unstoppable momentum.” The song’s seeming ABA structure starts off easy before really kicking things up in the middle section. Joe shows without a doubt that he’s still got plenty left in the tank with his “solos” in this section while drummer Vinnie Colaiuta gives an added intensity with his musicianship behind the kit. He proves to be just as solid as [Jeff] Campitelli, if not more so. His ability to handle polyrhythmic patters without missing a single beat is impressive to say the least, both here and throughout the record. This is just one example of what makes this such a solid record. Another good example of what makes Unstoppable Momentum a success is the almost Beatles-esque, ‘I’ll Put a Stone on Your Cabin.’ The song’s “A” sections have something of a Sgt. Pepper’s Lonely Hearts Club influence. Somehow, Satriani and his band mates manage to tie in a sound that is quite the counterpoint to this vibe, making the song into a piece unlike anything that Satriani has ever recorded throughout his career. It is one of those songs that simply must be heard to be appreciated and understood. There is at least one more example of what makes this new record one that fans will enjoy. And it is the album’s absolutely shortest, but most touching piece. That song is the one minute and forty-three minute long, ‘I’ll Put a Stone on Your Cairn.’ For those that don’t know, one of the traditional uses of a cairn is as a monument to one who has passed on. Its use roots all the way back to prehistoric Eurasia. So placing a stone on one’s cairn would be an act of tribute and remembrance to the deceased. Keeping all of this in mind, the gentle, dulcet tones of this short opus are sure to create thoughts in the minds of listeners of perhaps those that they have lost. It offers some of the album’s deepest emotions and is sure to generate among listeners some of the deepest emotions, as well. Without a doubt, this song may end up being a favorite for fans, even as short as it is. And it is just one more among so many that listeners will enjoy throughout the course of the album’s eleven total tracks. The album is available now in stores and online. It can be ordered online via Joe’s website, http://www.satriani.com, where he has links to iTunes, Amazon, and through his own website. Fans can also order the new album and all sorts of Joe Satriani gear through his official Facebook page, http://www.facebook.com/joesatriani. Fans can keep up with the latest tour updates and news from Joe on his Facebook page, too. To keep up with the latest sports and entertainment reviews and news, go online to http://www.facebook.com/philspicks. Fans can always keep up with the latest sports and entertainment reviews and news in the Phil’s Picks blog at https://philspicks.wordpress.com. The latest release from the British blues/rock band, Heaven & Earth, is one of the year’s best rock albums, and potentially one of the year’s best overall albums. From the album’s artwork to its songs, so much was done right with this album. Bassist Chuck Wright notes in the album’s bonus DVD about the album’s cover art that it is meant to represent the “unearthing” of rock and roll. He states that “it [rock and roll] has been buried away for far too long.” And if that’s the case, then this album has done quite the job of “digging up” rock and roll. As producer Dave Jenkins states, this album was an attempt to capture the vibe of a live show on record. He and the band did just that from start to finish. The album opens fittingly with the anthemic ‘Victorious.’ The opening Middle Eastern influenced strains lead in to front man Joe Retta’s powerhouse vocals. He sings, “There’ll be a champion/Standing tall for all to see/On their way to be victorious/All for glory.” Taking into account Jenkins’ statement about crafting an album that sounds like a live performance in studio, it becomes so easy to see Retta standing both before the mic and in front of thousands singing this line, fist raised along with those of thousands in attendance at a major arena as they sing in unison. Even more interesting to note about this song (and others throughout the album) is that if one were listening to this record without knowing it was Retta and company, one would swear one was listening to either Chickenfoot or to its singer, Sammy Hagar. Retta’s vocals are so close in style to Hagar’s that the difference is nearly incomparable. Joe Retta isn’t the only one that gets the chance to shine on H&E’s new record. While he might front this veteran band, his band mates—Stuart Smith (guitars), Chuck Wright (Bass), Richie Onori (drums), and Arlan Schierbaum (keyboards)—also get their chance to showcase their talents, too. Case in point, the album’s second track and lead single, ‘No Money No Love.’ Stuart Smith’s chops are right up there with guest musician Richie Sambora (Bon Jovi) in his solos. And drummer Richie Onori keeps the band moving with a straight forward with solid time keeping that is just enough to impress any drummer of any level. Add the keyboards of Arlan Schierbaum and audiences will hear just why this was chosen to lead off this album. The band has also released a video for the album that can be viewed via YouTube at http://www.youtube.com/watch?v=9WB1iW0thik. Audiences get even more of that full on energy in the song, ‘Man & Machine.’ Again, one has to refer to [Dave] Jenkins’ mention of making a record that sounds like it’s a live experience here. Everything that could go right with this song went right. From its choruses to the pure musicianship of each band member, this is just one more of this record’s highest of points. And it isn’t the last, either. Fans will also enjoy the slower, bluesy vibe of ‘House of Blues’, the driving guitars and drums of ‘Back in Anger’, and ‘Rock and Roll Does’ as well as the record’s softer, slower moments. Fans will especially enjoy ‘Rock and Roll Does.’ It would be a surprise if the band doesn’t use this as a show closer at its live shows in support of this record. All assembled together, this record is a welcome change of pace from the constant drone of so much mainstream rock and the down tuned crunching guitars and cookie monster growls of less mainstream sounds. Speaking of live shows, no live shows have been announced as of yet. 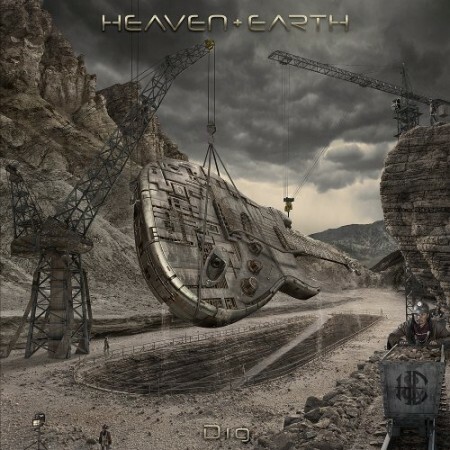 However, fans can get all the latest tour news and more from the band online at the band’s official Facebook page, http://www.facebook.com/officialheavenandearth and its official website, http://heavenandearthband.com/wordpress. Dig is available now in stores and online. It can be ordered online via iTunes at http://itunes.apple.com/us/album/dig/id637141654.